I’ve always loved to hang laundry outside to dry, burying my face in the sheets to savour the clean outdoors fragrance. It’s taken me many decades but I’ve finally found the ultimate laundry bag for carrying things outside or up and down the stairs to the laundry room. And it only costs $1.00. 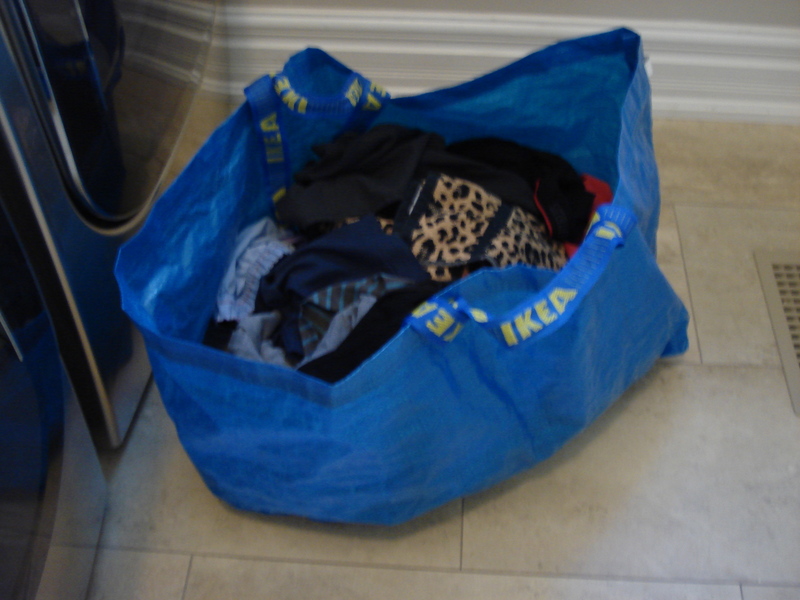 Nothing beats the IKEA blue plastic reinforced bags with the double yellow handles. You can use the short handles to carry it at your side or hang it on your shoulder. Either way, it frees your other hand to grab the handrail on the stairs. And they’re light as a feather. So toss your old wicker baskets or Rubbermaid bins. IKEA bags are the best.